The opera singer Giulia Grisi, one of the leading sopranos of the 19th century, was born on this day in 1811 in Milan. Renowned for the smooth sweetness of her voice, Grisi sang to full houses in Europe, the United States and South America during a career spanning 30 years in which composers such as Vincenzo Bellini and Gaetano Donizetti created roles especially for her. These included Elvira in Bellini’s final opera, I puritani, in which Grisi appeared alongside the great tenor Giovanni Battista Rubini, the bass Luigi Lablache and the baritone Antonio Tamburini when the work premiered in Paris in 1835. The opera was such a success that whenever the four singers performed together subsequently they were known as the “Puritani quartet”. 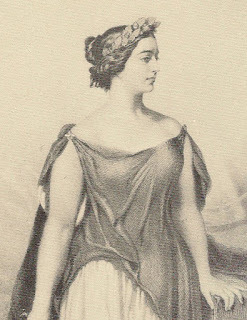 Grisi was also the first soprano cast in the role of Adalgisa in Bellini’s Norma in Milan in 1831, playing opposite Guiditta Pasta in the title role. 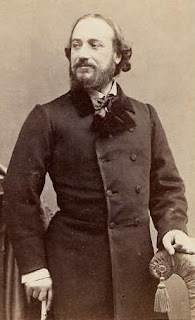 Donizetti wrote the parts of Norina and Ernesto in his 1843 work Don Pasquale for Grisi and her future husband, the tenor Giovanni Matteo De Candia, usually known by his stage name of Giovanni Mario. Lablache and Tamburini again starred with her in the Paris premiere. Grisi was the daughter of Gaetano Grisi, an Italian officer in the service of Napoleon. She had music in her blood. Her maternal aunt, Giuseppina Grassini, had been a popular opera singer, in Europe and in London, while her sister Giuditta also sang and her cousin Carlotta was a ballet dancer. After being trained with a musical career in mind, Grisi made her stage debut as Emma in Gioachino Rossini's Zelmira at the Teatro Comunale in Bologna in 1828. Rossini took her to Paris in the title role of Semiramide in 1832 and after her success there she made her debut in London in 1834 as Ninetta in the same composer’s La gazza ladra. Grisi, who had no shortage of male admirers, had a complicated personal life. Her first marriage to Count Gérard de Melcy, whom she wed in 1836, was an unhappy one but he refused her request for a divorce. Two years after they were married her husband was furious to discover a letter written to her by Lord Castlereagh, the future 4th Marquess of Londonderry. The two fought a duel in which Lord Castlereagh was wounded in the wrist. The duel prompted Grisi to leave her husband and begin an affair with Lord Castlereagh, with whom she had a son, George Frederick Ormsby. But the relationship petered out. George was brought up by his father, although Grisi was allowed to see him when she visited England. The real love of her life was Mario, her professional as well as romantic partner. Together, they helped establish Italian opera as an important component of the London music scene. When they toured the United States in 1854, after they were married, where they were lauded as celebrities. They lived together in Paris and London before Grisi at last was granted her wish for a divorce they were able to marry. They returned to Italy and lived at the Villa Salviati in Florence, a property Mario had purchased in 1849, where they brought up six daughters and regularly entertained guests from the world of opera and the aristocracy. Tragically, Grisi died in 1869 after the train on which she was travelling to St Petersburg suffered an accident passing through Germany. Grisi was taken to hospital in Berlin but did not recover from her injuries. Her husband took her body to Paris, where she was buried at Père Lachaise Cemetery. Her tomb is marked with the inscription "Juliette de Candia". Grisi made her stage debut at the Teatro Comunale di Bologna, which remains one of the most important opera venues in Italy. Typically, it presents eight operas with six performances during its November to April season. 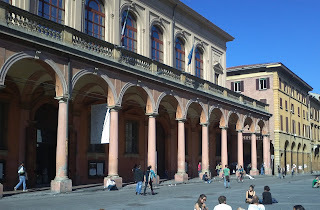 Various opera venues in the city had either fallen into disuse or burnt down and it was after the Teatro Malvesi succumbed to fire in 1745 that the Nuovo Teatro Pubblico, as the Teatro Comunale was first called, was opened in May 1763. Grisi and Mario’s grand home in Florence, the Villa Salviati, was built on the site of the Castle of Montegonzi about 7km (4.5 miles) north of the centre of the city, by Cardinal Alamanno Salviati, who in turn gave it to Jacopo Salviati, the son-in-law of Lorenzo de’ Medici (Lorenzo the Magnificent). It changed hands a number of times before being purchased by Giovanni Mario from an Englishman, Arturo Vansittard. 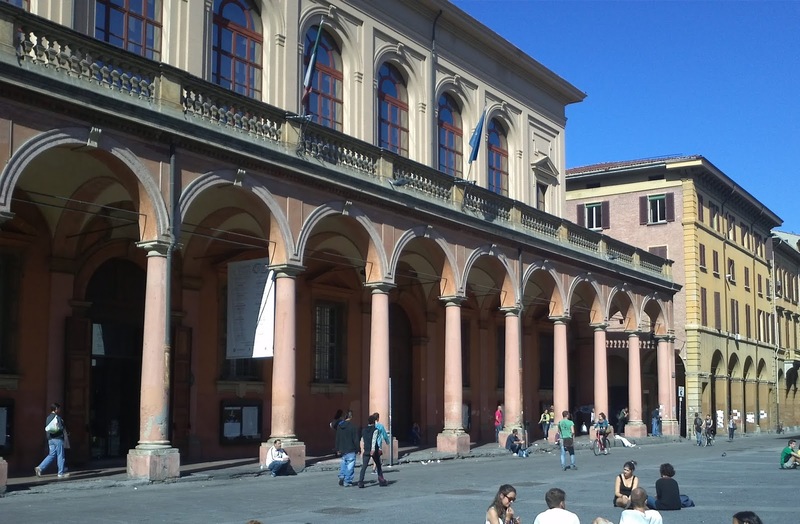 In 2000 it was purchased by the Italian government and now houses the historical archives of the European Union.